Du Maurier’s most popular novel is narrated by the unnamed second wife of Maxim de Winter, broody owner of Manderley, his ancestral home. It is so vividly described and central to the novel that it almost becomes a character in its own right. The couple meet in the South of France les than a year after the death of his first wife, Rebecca. Even during the proposal he expresses no love for the timid narrator and she naively accepts, thinking she is freeing herself from her servitude of companion to Mrs Van Hopper but condemning herself to a passionless marriage and a similar subservient companionship. On their return to Manderley she struggles with the ghost of Rebecca whose beauty and talents were beloved of almost all. Mrs Danvers, the housekeeper, was particularly devoted to her and frightens the new Mrs de Winter, ensuring that she always feels inferior. In the final quarter of the novel a revelation gives the young bride hope of happiness only for it quickly to be torn away in the dramatic conclusion. 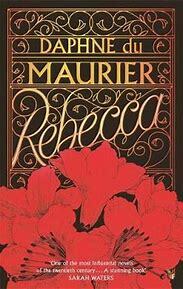 Despite only appearing in memory and imagination it is Rebecca that endures for the reader. The narrator becomes exasperating with her endless doubts and unwillingness to assert any authority. The secret that releases her from her jealousy and inferiority does not paint her in a positive light and she seems selfish in her obsession with being freed from Rebecca’s presence. In saying that, the reader has become so entangled in her narrative that you can’t help but hope events unfold as she wishes, making you question your morals. The novel dissects the role of women and the expectations of femininity, something which it is said du Maurier struggled with herself. She was shy and did not enjoy entertaining and yet Rebecca also reflects aspects of her creator’s personality in her sexual liberation and aptitude at sailing. The fact she makes Rebecca the stronger, more memorable character may hint at where she felt her true self lay. This atmospheric novel examines the complex jealousy of a second wife, a topic not often discussed in fiction. We feel so vividly the presence of Rebecca as we walk in the footsteps of the paranoid narrator. Du Maurier successfully created a sense of place so believable we feel as though we have wandered its corridors and explored the gardens. The claustrophobia felt by the narrator is palpable and makes for a disturbing read.